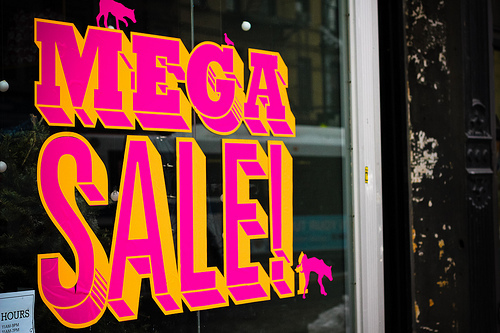 Consumerism Is Urging Holiday Readiness But Are You Buying it? I’m all for early prep for any holiday. I advocate that it helps balance the busy and reduce the overwhelm. But have you noticed lately that holiday promotions are pushing the calendar earlier and earlier each year? Crazy. The major holiday calendar is fixed, it’s our reaction to them that varies. It is personal. We may all manage our time and pace our schedules differently but we all know when they are encroaching. Reminders and sales are helpful, but does it really serve us to be notified months before? Do we pay attention? Does it instigate a call to action? Our new normal is bearing witness that Back to School promotions show up in early July, Halloween after Labor Day, and Thanksgiving and Christmas not far behind. Time fleets so quickly as it is, I fear this manic consumerism can be suffocating. In theory, these eye-catching displays and enticing sales should encourage us to prepare and get our holidays organized early, right? In fact for some of us, this push may be the precise motivator we need, yet others may find this off-putting. Some might even argue that this simple ploy just lures us into impulse purchases we don’t need or haven’t yet budgeted for. And worse, early shopping does not eliminate the continuous shopping throughout the holiday, imposing an increase in spending and anxiety. As a result, this “friendly reminder” is likely to be not so friendly. Raising costs and overwhelm invites criticism for sure. 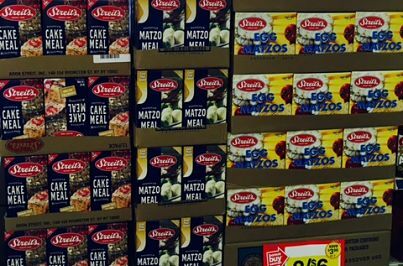 Personally, I don’t want to see Passover products in my face in February when the holiday falls out at the end of April this year. I’ll not be purchasing it now so I shall pass it by for another whole month. I’m simply not buying it. Are you? Call me crazy but I’m just not ready. The hurry up and wait ideology doesn’t work for me. Let’s take a breath. No need to rush the cycle of seasons. Spring is still a month away. At this rate and upon its arrival, I foresee a blast of Mother’s Day Specials way before the very first bloom. Ugh. Stop the madness please. Thanksgiving is almost here and you might be in sheer panic that you haven’t done a thing yet! For some of you, this could be your first holiday dinner. Perhaps you volunteered or maybe you got selected. Either way, it’s time to get ready NOW. If you follow this simple checklist you still have time to prepare and “shine” as the perfect host or hostess. Planning is essential for hassle-free entertaining. Plan the menu. Review your inventory to see what you already have. Make a detailed grocery list. Check the liquor cabinet and be sure it’s stocked with the basic favorites. Consider pairing red or white wine with your various courses. Prepare the table. Setting the table the night before is a huge timesaver and can reduce some of the pressure of doing everything on the same day. 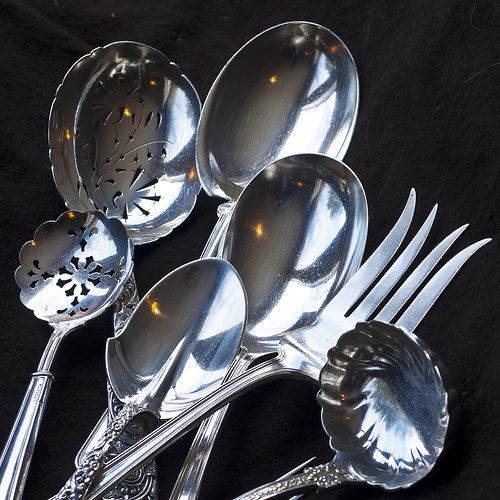 Select the plates, tablecloth, napkins, platters, and serving utensils you will need. Have a seating plan in mind and have an accurate count of chairs to accommodate your guests. Have extra folding chairs on hand and be ready for that “surprise” visitor. Just in case. Organize the platters. To ensure that you have enough service for both the dinner and the appetizers, use post-its or sticky notes to keep you organized and pre-label the platters for the nosh, main entrée, and for each side dish. Match the appropriate utensils for each one. This simple step can make it easier for eager helpers to lend a hand when food needs to be transferred from the oven and plated. They can simply follow your plan. It’s a seamless system. Schedule the Prep. Deconstruct the big picture and prep as much as you can the day before or morning of the dinner. Chop and slice as many ingredients you can in advance to alleviate the overwhelm. Prepare ice and continue to bag and freeze. Eliminate the last-minute. I find that the most chaotic time of hosting is that 15 minute window right before the guests arrive. Light the candles. Turn on the music. Prepare the bar accompaniments (shakers, wine openers, stirrers, etc). Pre-slice lemons and limes. Fill the ice bucket. Chill the wine. Have extra bowls and platters handy for guest gifts. Anticipate. Be mindful that when the doorbell’s ringing, and your guests are flooding in, they’re likely to arrive with armfuls of delectable treats, pies, bottles of wine, flowers, and maybe even a hostess gift to open. Trust me, at that hour you don’t want to be running around searching for the perfect sized cake plate, platter, nut bowl, or vase. Keep notes. Check off each task as it is completed and keep this as your automated checklist from now on. Create a “holiday” folder and jot down this year’s menu. Weigh in on what worked well, what was a huge hit, or not so much. Write it all down. Modify for next year. Eliminate having to remember it all for the next time you entertain. Clear Spaces. Having company over is a great motivator to straighten up your home. It’s a great incentive to clean up some cluttered spaces that you would have otherwise avoided. Remember to clear some additional space in the hall closet to accommodate your guest’s coats and jackets. At the end of the day, of course you hope that all the food tasted great, but recognize that’s not why they came. Family and friends sharing good times together is far more memorable than any culinary faux pas. Hosting a holiday can be hectic and sometimes stressful, but it doesn’t have to be. You should enjoy it all too and be as happy as your guests! It’s likely that a “happy” host/hostess is probably a prepared and organized one. So are you getting ready? Be The Hostess with the Most-ess! Now that the Thanksgiving holiday is upon us, and we are entering the season of a variety of holiday parties, it’s a good time to share some helpful organizing tips for home-entertaining. Whether it’s a cocktail party or a sit- down plated dinner, planning is still essential. With readiness in mind, you should plan the menu ahead of time, review your inventory, make a detailed grocery list, and be sure to check that the liquor cabinet is updated and stocked with the basic alcoholic favorites (hey, it’s party time and you gotta be ready!). This way if you don’t have what you need, you will have the time to run a quick errand. Setting the table the night or day before can eliminate a lot of stress. 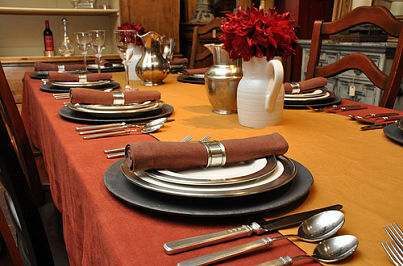 Select the tablecloths, napkins, platters, and serving utensils that you will need to set the dinner table. Have a seating plan in mind and an accurate count of chairs to accommodate your guests. One of the best ways to stay ahead of the chaos is to organize the platters for each course by placing labeled post-it notes for every side dish and match an appropriate serving piece. This makes it easier for any eager helper to lend a hand when food needs to be transferred from the oven, because they can follow your plan. It’s a seamless system. The doorbell is ringing, the guests seem to be flooding in all at the same time, and you are secretly questioning yourself whether you are ready. And if that is not hectic enough, they arrive with armfuls of delectable treats, pies, bottles of wine, flowers, and hostess gifts to open. While this is thoughtful and very much appreciated , that just beings you back to the kitchen searching for another platter, cake plate, or nut bowl, or vase. Everyone is insisting on helping and before long, you have more people in the kitchen than you do in your living room. All in all, when dinner is finally served, nothing else really matters but the gathering of family and close friends. The only thing to hope for is that after all that preparation, the food tastes good. If not, whatever didn’t work out so well, take notes and just modify for the next time you entertain. Hosting a party can be stressful but it doesn’t have to be. The “Hostess with the Most-ess” is fundamentally a prepared one! Being the perfect hostess is not as important as being a happy one. You want to enjoy your own party, don’t you agree? After a fun-filled summer of relaxed schedules and extended bedtimes, returning to back to school regimens can be a very difficult transitionfor most children. Particularly, if there were little or no parameters enforced throughout the summer, this can be a stressful time. So if you’ve been guilty of “no schoolbook, no rule-book,” now’s the time to re-calibrate. Emergency call for structure and organization, STAT. Whether your child is entering Kindergarten or returning back to a familiar school, most kids experience some level of anxiety prior to the first day of school. New routines can be scary. No matter how old the child, they fear the unknown because it is unpredictable. Studies have revealed that children adapt better when they are prepared and know what to expect. As parents, the best way to ease your children’s trepidations is with steady and consistent preparation. The power of organizationcan be calming because readiness exudes a significant measure of confidence. So if you haven’t already started to organize for school, start now. 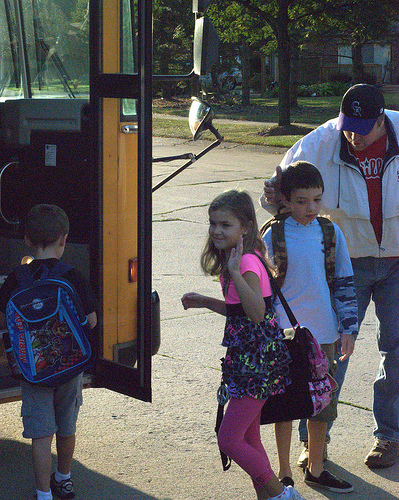 Have those conversations about the first day of school. Review their school supplies with them and pack up their school bags now. Why not be ready? Discuss the new schedule; and morning and nighttime routines. If what they wear is a concern for them, come up with a plan to make the mornings less stressful. Start adjusting their bedtimes now so they can adapt to the eventual earlier rise. Teach them the value of being punctual and being prepared. Make rules. Children need parameters. In fact, they require them to make them feel safe. Clarify your expectations. Discuss the rules. But above all, listen. Listen to their fears or worries. You can alleviate a great deal of their concerns by organizing their routine, their stuff, even their thoughts. Pre-schoolers will require a lot more instruction and direction to feel secure. But think about it, even students entering High School have an orientation day to aid them with their distinguishable transition. Most schools offer a walking tour prior to the first day, so inquire within your school district to schedule one if your child is apprehensive. Do whatever you can to make your child feel at ease. It could be a trial run to school, making a play date with a classmate, or jotting down helpful reminders or guidelines to keep in their book bag. Everyone feels more comfortable when they are prepared and are informed. Rules aren’t exclusively designed just for school. It’s part of life’s lessons. For most of us, preparing your children for life is a parent’s eternalhomework, don’t you think? Is it just me, or are you getting the feeling that retailers are pushing summer out? Summer’s not over…but it’s definitely on sale! It appears that everything is on sale! The stores promoting summer seasonal items are practically giving them away. Get more bang for your buck. Be smart. It’s a great opportunity to purchase summer clothing, outdoor furniture, barbecue accessories, or summer anything for next year. It’s also a perfect time to assess your inventory. Think ahead and pay attention to the things you are currently using that you know are on their last leg. Take the time to replace, repair, or toss the broken or unwanted stuff at the end of this summer. I know it’s easier to just shove the broken beach chair into the shed or garage and deal with it next year, but do yourself a favor, and act on it now. No need to hold onto the leaky garden hose, deflated pool floats, cracked pails and shovels, broken umbrellas, or moldy coolers. Fall clothes will soon to be dominating retail stores, so bathing suits and summer clothes are super inexpensive. It’s a great opportunity to organize for next summer. Why not take advantage now? Buy new basics and save them for next summer. Be ready. Be organized. There is nothing as sweet as being ready and prepared for summer fun! Oh, and that old rusty sand chair? Let it go, it’s done. It owes you nothing. It well served its purpose. Be ready for the first blazing beach day next year, and avoid that last minute trip to the store when you realize the old one’s broken. You’ll be so happy you did! You can also enjoy wearing something brand new at the start of the season at half the price! These are just the small perks of being organized. It’s all about planning, whether it be for the season ahead or even for the following year. Exit the summer with a bang! It’s just a theory. Want to learn more? Keep reading, I’ll keep writing. This is not a novel idea. Clearly none of us can predict an emergency, hence it is called just that, an emergency. But realize that when caught off guard, it is hard to implement sensible decision making when you are in the throws of a disaster. Setting up systems prior to the emergency and being prepared for one, would be ideal. Should any kind of household emergency occur, can you say with confidence that you are ready? How organized are you? Right off the bat, prepare a list of emergency phone numbers all on one place and post it in a designated place for immediate retrieval. Unquestionably, calling 911 saves lot of lives but it doesn’t solve all emergent problems. Anticipate. Make the effort to prevent a disaster. In all honesty, I do not claim to be an emergency specialist, but I can speak from both personal and professional experience. Regretfully, most of these scenarios have happened to me. Here’s my short list. Check batteries for your smoke and fire alarms, stay on top of that. It can save a life. 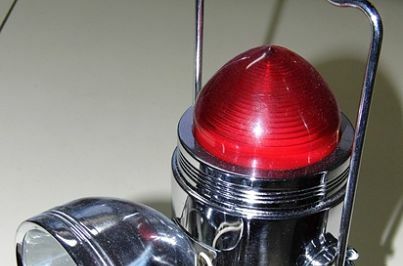 Have an ample supply of batteries, flashlights, and lanterns, and a battery operated radio. Check for a land line phone. Be sure you have a fire extinguisher in the home. Winterize your home and prevent pipes from bursting. When you go on vacation, remember to shut off valve to the washing machine. Avoid the flood. Have crystallized aspirin handy in the case of a heart attack. Never let your gas in you automobile go below 1/4 of a tank. You never know when you may need that full tank for an emergency. Have your windows protected against storms and floods. Have your gutters cleaned regularly. Perhaps purchase a wet-vac (flooding has become a more common occurrence than you think) or have a reliable Water Restoration company on your emergency list. Keep old towels handy as well. Have your cesspool maintained annually. Clean your chimney regularly and avoid the puff back. Organize your family’s critical medical information and create a folder that a loved one can retrieve an emergency (documenting all medical history, including medications). Take inventory of your valuables and create a detailed manifest of these items. Take pictures for safekeeping. Should they get lost or stolen, you will need this documentation. The list could go on for sure. If you live where earthquakes, mud slides, brush fires, and other likely disasters are a threat, be diligent with the necessary preventative measures. Readiness and preparedness should be a pro-active practice each and every day, but in regards to an emergency, these measures could be life -saving. Protect yourself, loved ones, and your treasured possessions against potential danger or risk. Indisputably, these are not the things in which to gamble on. While shopping for a Hallmark birthday card today, I was thumbing through the humorous section searching for the perfect card and when my hand grazed over the infamous belated zone, and I was struck with the irony of it all. It just occurred to me that the origin of such a category was designed to address and classify the disorganized individual. The creator of the belated card had to have thought about a person who consistently either forgets a special birthday, anniversary,etc. or perhaps remembers but never gets it together to actually buy a card or send it. Imagine…Hallmark has provided for the guy/gal who messed up, and is capitalizing on the idea that there are people who have failed to organize the special milestone events in their family and friend’s lives. Moreover, the mere gesture of sending the belated card is screaming out that you are indeed guilty of such a charge. I can’t believe that it is a proud thing to declare; “Yes, I totally forgot all about you on your special day.” How embarrassing, really. It’s silly enough that there is a barrage of other occasion cards for every kind of relationship imaginable; like “Happy Mother’s Day to my neighbor’s cousin” or “Happy Birthday to our dog”, but forgetting the special day altogether is sending an alert to remind the person that you actually forgot! Truthfully, a belated card when it is received is one that you surely don’t want to save and cherish. Once the day passes and the celebration is over, does receiving a card days later even have the same significance? So do yourself and your relationships a favor, keep records of the special days of your loved one’s lives. Implement reminders on your phone, computer, and calendars. Make a habit of buying an assortment of occasion cards at the start of every month so you’ll be prepared and have them on hand when you need them. Don’t be caught short. Sending a card on time is a small thing that means so very much. At the risk of sounding sappy, a celebratory card sent and received on the actual day does speak to how important that person is to you. Simply said, it simply means that you thought about them on their special day. Everybody wants to be thought of, even if you personally don’t need that kind of attention Be fearful of sending belated cards often, it might become a reputation hard to shed. Strive to be more organized in this regard and you’ll be appreciated for your thoughtfulness. Guaranteed, it will come back to you. Goodness and respect always return the favor.